Single or pairwork activity. 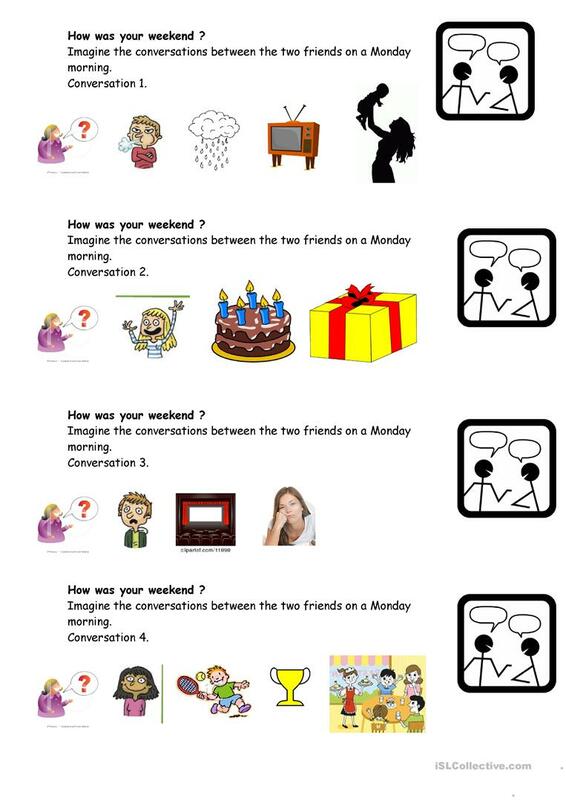 Look at the pictures and imagine the dialogue between two friends asking about their weekend. This printable, downloadable handout is recommended for high school students, elementary school students, adults and students with special educational needs, learning difficulties, e.g. dyslexia at Pre-intermediate (A2) level. It is aimed at revising Past simple tense in English, and is useful for working on your class' Speaking and Writing skills.